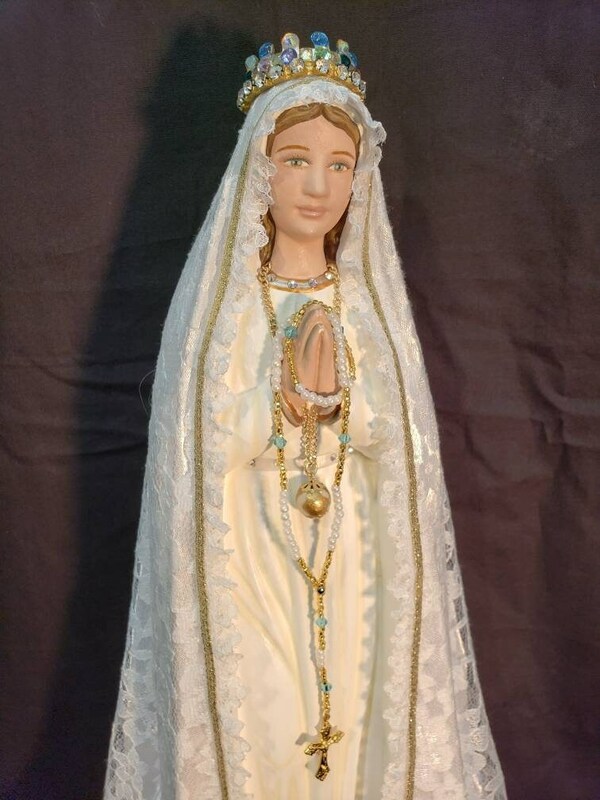 Now, anyone can have their own Pilgrim Virgin of Fatima like the ones carried in processions, except in smaller home-friendly sizes. 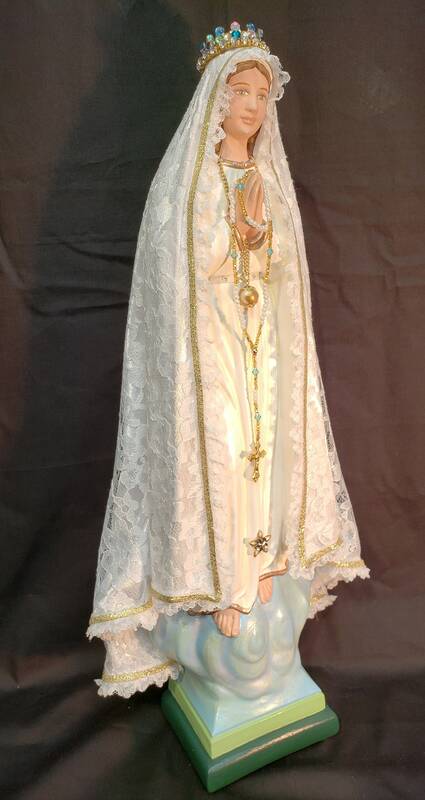 This statue features a hand painted face, details such as fingernails and eyelashes, full length (head to foot) lace over satin style mantle with golden trim work, hand-made tiny rosary beads in her hands, and the other accoutrements associated with Our Lady of Fatima. Queenship crown is included. 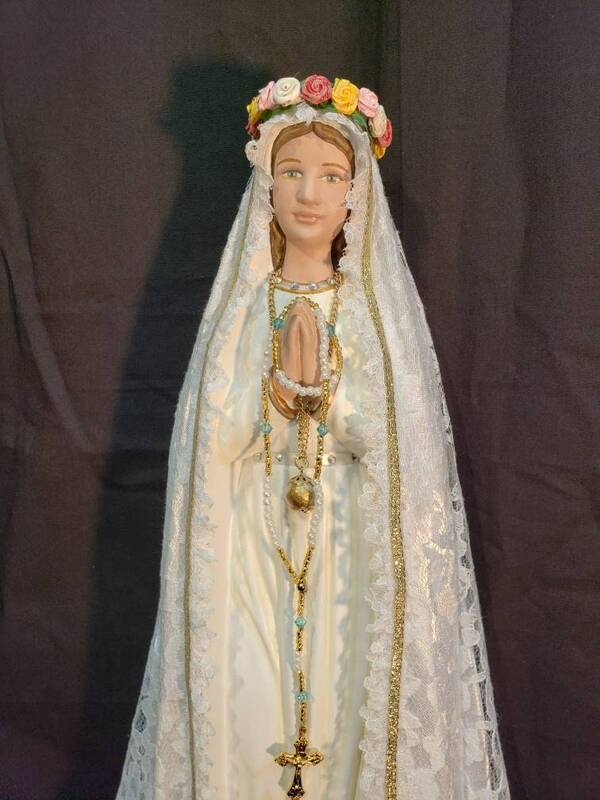 We could also make a crown of flowers for the May crowning of Our Lady. Our statues are made to order and handmade in the USA. 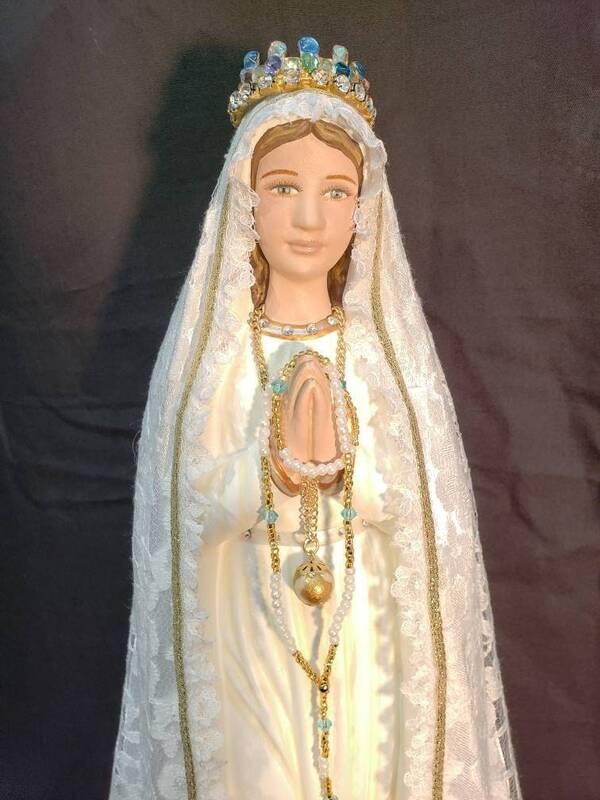 Please allow 5-10 weeks for us to finish and ship your beautiful statue. 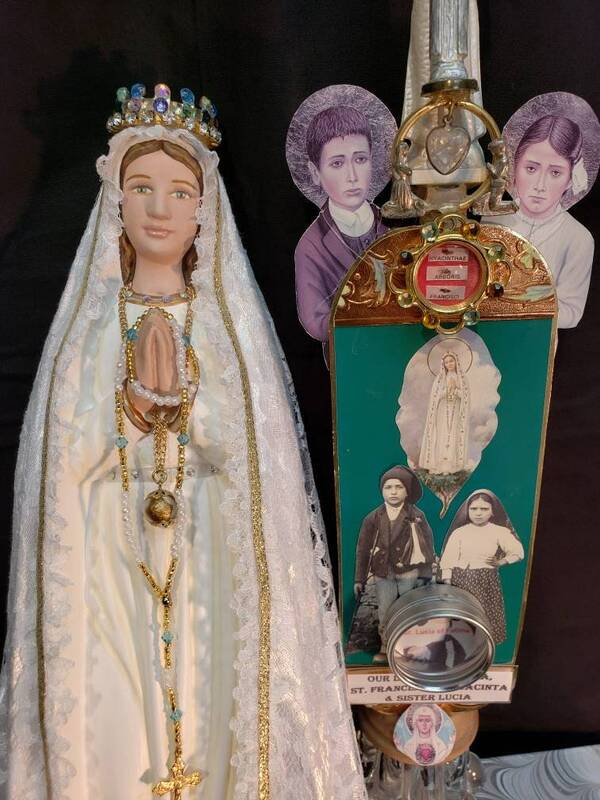 We will also touch your finished statue to our relics of St. Francisco, St. Jacinta, Sister Lucia and Our Lady (Holm Oak Tree). Words cannot describe how beautiful she is! These gentlemen do an amazing job. They surely have a God given talent. They cannot be any nicer and accommodating too. You surely will not be disappointed I promise. I now have two statues by them. Going to keep saving up to buy more! 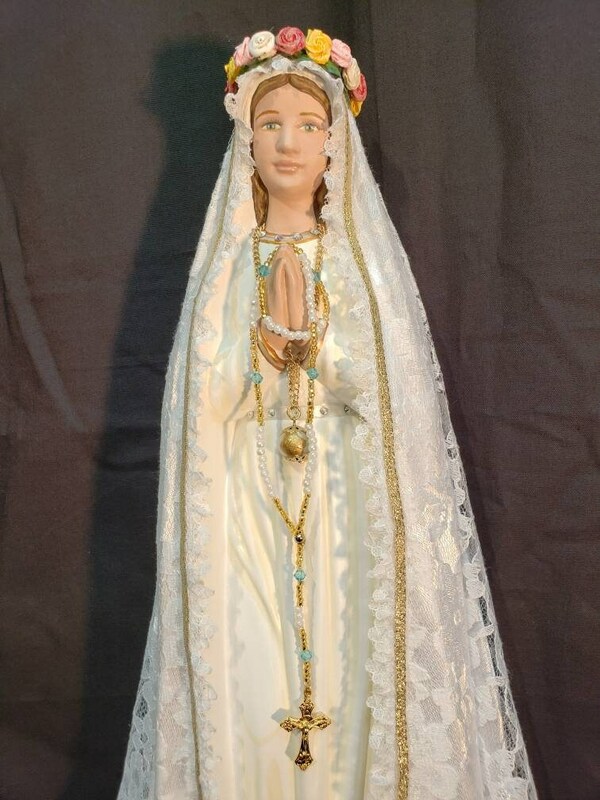 I just received the Lady of Fatima statue I ordered. She is absolutely lovely! Gorgeous! 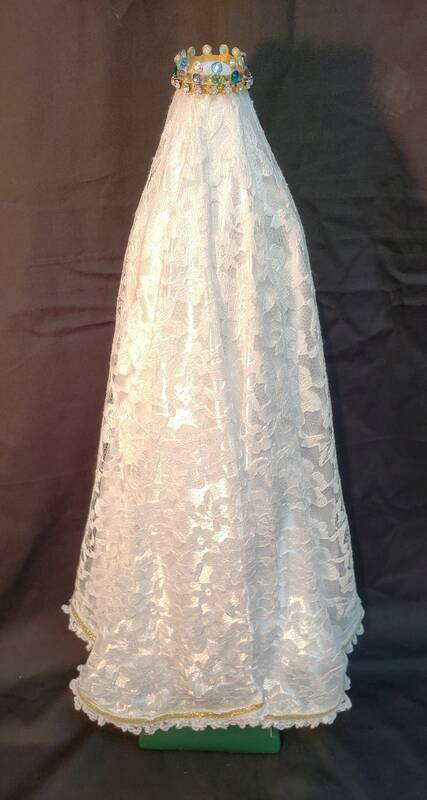 Heavenly Saints does beautiful work. The statue was packaged very well, and even included helpful notations on how to carefully unwrap it. I am very pleased, and I highly recommended Heavenly Saints.